80 years ago crystals were expensive. Hams made do with one or two. Ads for the Utah Jr even touted two crystals will cover 160-20 meters. Swapping crystals to QSY up and down the band was not a high priority. The Utah Jr reflects this design philosophy. The one crystal socket is accessible only from the back and sits just in front of the plate loading cap with B+ exposed. Just the other side of the 6L6 is the plate loading coil with the same B+ exposure. Safe operating practice requires one to power down this transmitter before changing the crystal. 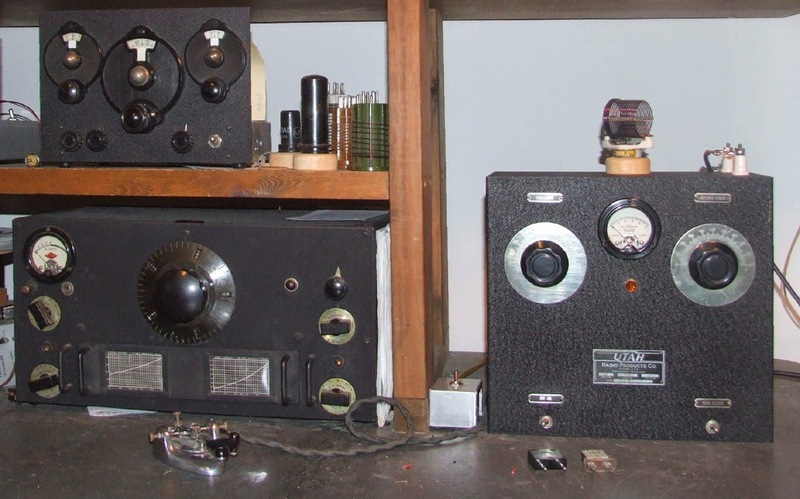 Today most hams have transceivers, they expect to hear a response to a CQ on their frequency. If I don't have a crystal plugged that puts me close to a station calling CQ he isn't going to hear my call. Powering down the transmitter to swap a crystal out takes time tempting me to cut corners. The obvious solution is to extend the crystal socket so that I could change the crystal without digging in to the rig. I ended up building two versions. The cute one shown included 8" of TV twinlead and two crystals sockets wired in parallel. It sat on top of the Utah Jr making it easy to change crystals. 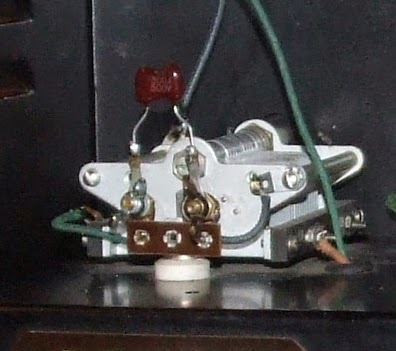 The functional one had only two wide spaced 3" leads running from a male 5 pin plug (that fit the Utah Jr crystal socket) to one crystal socket barely beyond the back of the transmitter. Running with the cute one resulted in a chirpy, harmonic laden signal while the other gave a clean signal. The cute one added about 7pf in parallel with the crystal while the functional one only added about 2pf. Maybe the extra 5pf causes a problem or maybe RF is feeding back via the 8" of twin lead. Either way, function wins over cute. 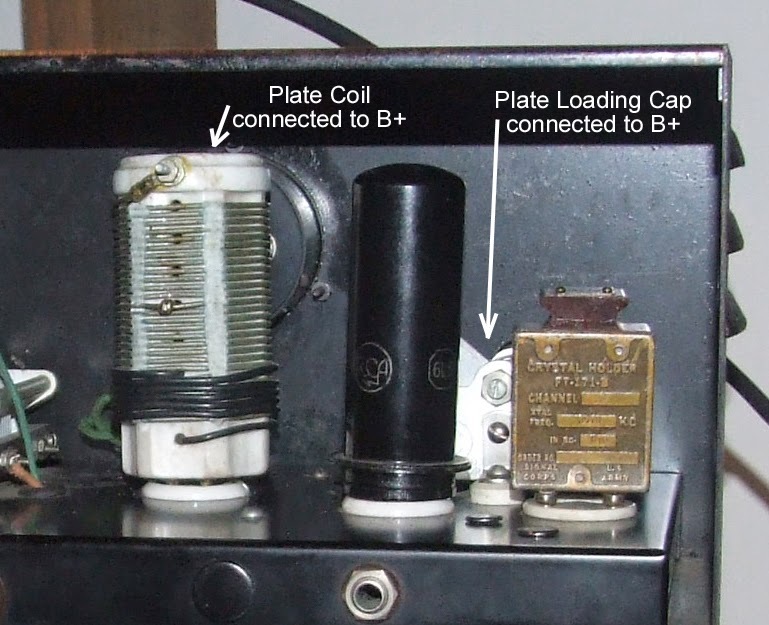 The May 1936 issue of QST included an announcement of a new "Audio Power Tube", the 6L6, with a promise of more information in the June issue. By June the new 6L6 was featured as "a high output crystal oscillator". In the second half of 1936 four transmitter designs in QST used the 6L6. The pace didn't slow down. 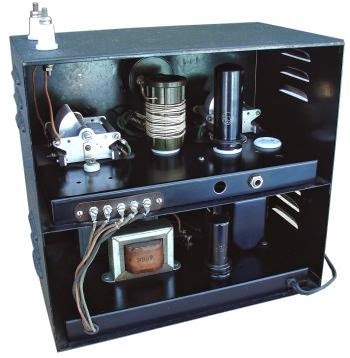 In 1937 twelve QST transmitter designs used the 6L6. Clearly hams were excited about this new tube. 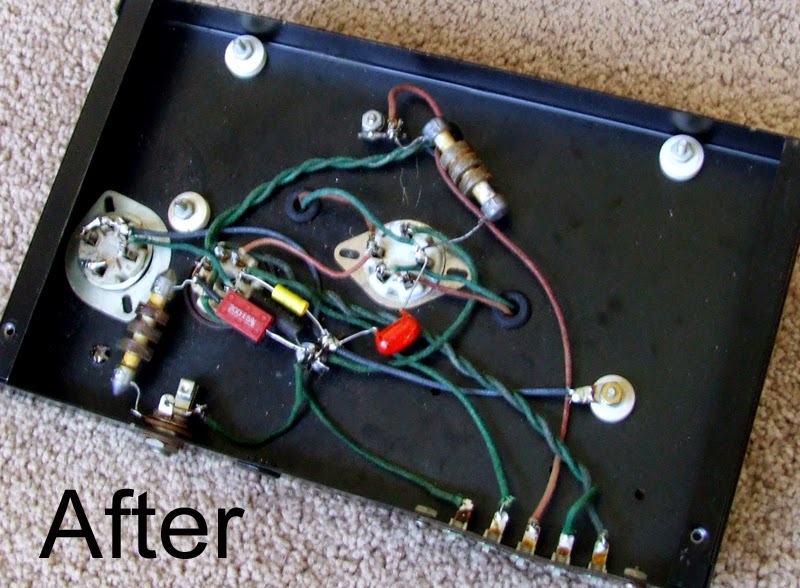 About this time Utah Radio Products Company in Chicago decided to begin offering kits that used their transformers. The Utah Jr was one of their first products. It was a single 6L6 crystal oscillator with self contained power supply. 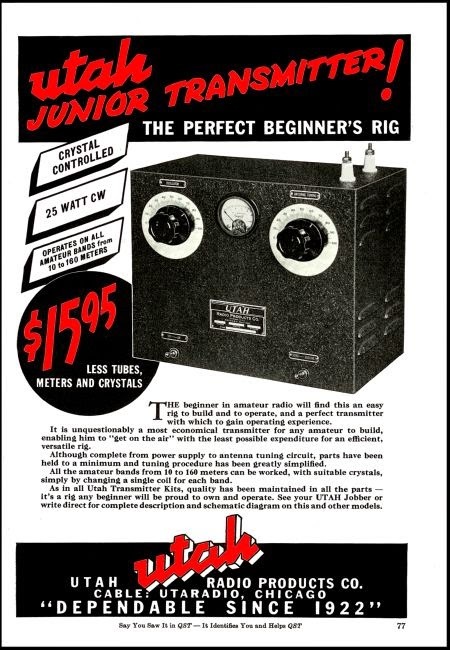 The Junior design appears to be based upon the "new Jones Regenerative Oscillator" described in the 1937 Frank C Jones Radio Handbook. an exceptional and outstanding value, especially recommended for the beginner and as the nucleus for a more powerful CW or phone transmitter. 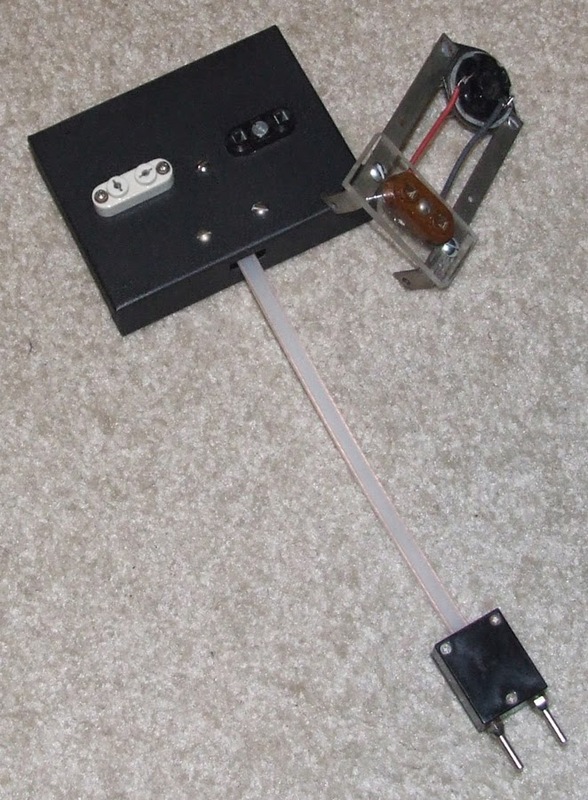 Experienced hams could even use this as an inexpensive standby or emergency transmitter. 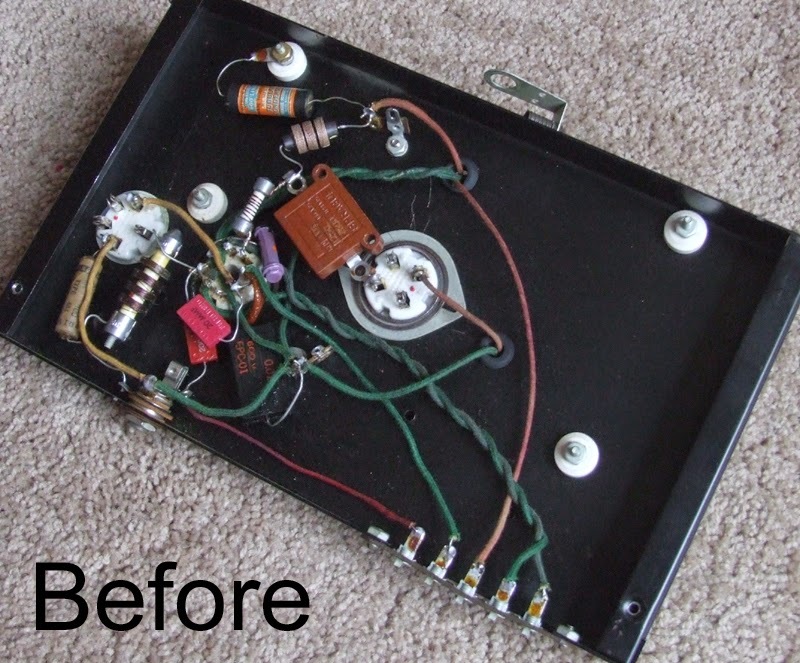 At $15.95 (less tubes, meter and crystal) this "professionally styled" 25 watt transmitter was heralded as the biggest bargain in the history of radio. With only two crystals it could cover 160-20 meters. It was the most amazing opportunity ever offered aspiring DXers. It could always added to without junking parts ( All Wave Radio, November 1937, pg 613). With hype like this how could I pass one up when it was offered to me in a trade? My Utah Jr was sold in the ARRL auction a few years ago. In general it was in pretty good shape with only a single obvious mod. Someone had done a nice job of adding a jeweled pilot lamp to the front panel. Pulling the RF deck revealed additional modifications to change the output to a pi network plus a variety of questionable caps, resistors and RF chokes, but no major problems. The power supply had already been recapped. It just needed a new bleeder resistor and three wire cord. Restoration consisted mostly of backing out the RF Deck mods. The manual mentions wiring the loading capacitor in series with the antenna. This is needed for low impedance antennas. Given today's 50 ohm coax fed antenna systems this was the one change I made from stock. This then lead to dealing with the restricted loading range limited by the 250 mmf loading capacitor. I changed the coil socket to a five pin socket. This allows one pin to be grounded. Now I can add fixed additional loading capacitance as needed to the plug in coil to get close to 50 ohms. The stock 250 mmf loading cap is then used for the fine tuning/loading. As an additional change I added easily removed binding posts to the back of the loading cap so that I can play with the fixed additional loading capacitors as needed. Testing indicates that this little transmitter should do a great job for me. It easily runs 10-15 watts out on 80 and 40 meters and sounds good. For now I'll use it with my HRO Sr. Yesterday both K9LW and K8MRS reported a fine sounding signal. 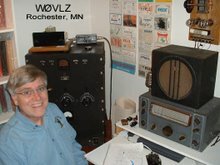 Another vintage transmitter is back on the air.